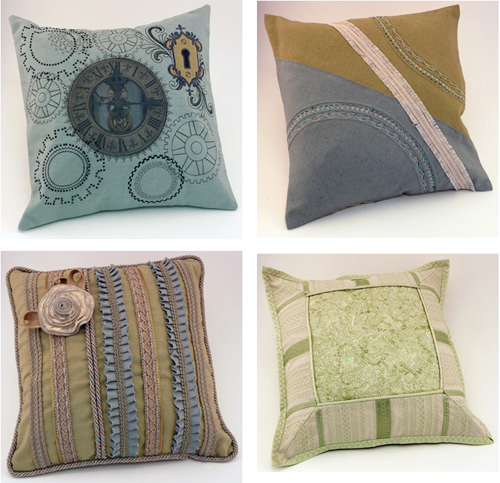 Today I’m kicking off a series of posts on sewing techniques using presser feet and other sewing machine tools, based on a group of pillows made about a year and a half ago by the Education Department. Each participant in the Made to Create project was assigned a two presser feet or tools and could add more as desired. 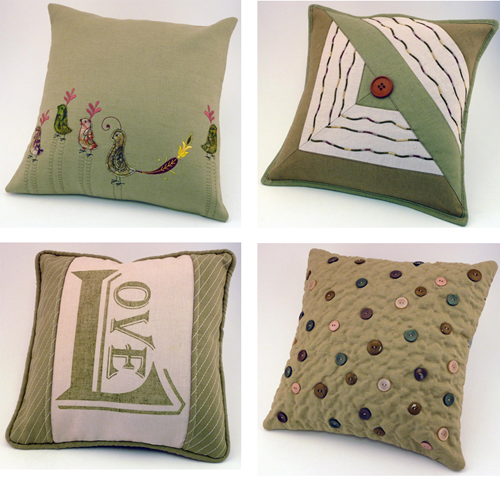 Here’s a list of pillow-makers and their assignments – see if you can guess who made each pillow as you scroll through the photos. It’s not always obvious! I’ll give you a detailed “tour” of one pillow every few weeks. Watch for the first one later this month! Did you guess which one is mine? Hint: I added Ruffler #86. This is a great idea. 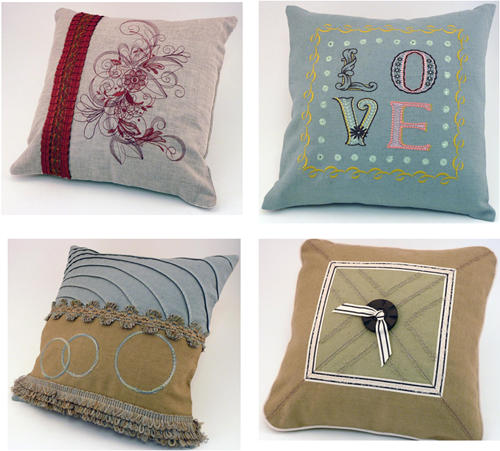 I’m looking forward to learning how to make these pillows with my new 880.